In our 4 year old preschool program, your child will discover a love of learning centered around Christ! Mrs. Miller teaches the lower-grades, where the children receive an amazing foundation in phonics, math and reading! 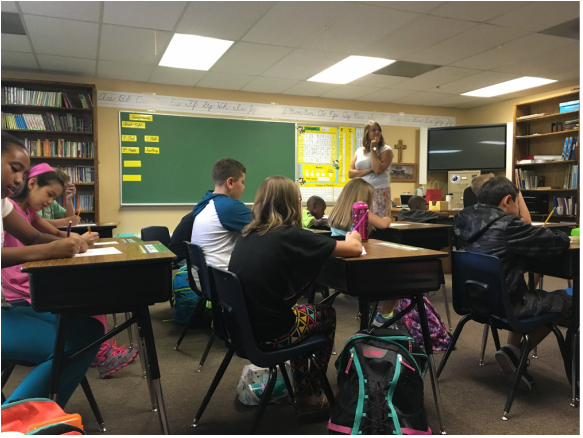 The middle-grade classroom is an exciting room where the children really start to dig deeper into their studies. They work hard, but also have fun rewards ranging from study groups, going on the computers, playing puzzles with their friends in the back or even an extra recess!